13 year old taking lessons weekly with Mario for 3 years is the 2018 S. Carolina Middle School Girls State Champ. 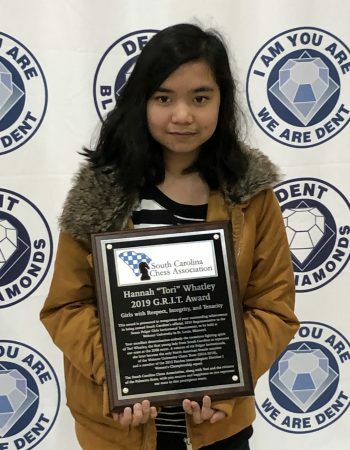 Update: she finished top female South Carolina High Schools 2019 while still in Middle School, winning the GRIT (Girls with Respect, Integrity & Tenacity) Award and also qualifying for All Girls National Invitational for the next 4 years (link to Edgefield, SC newspaper story here). 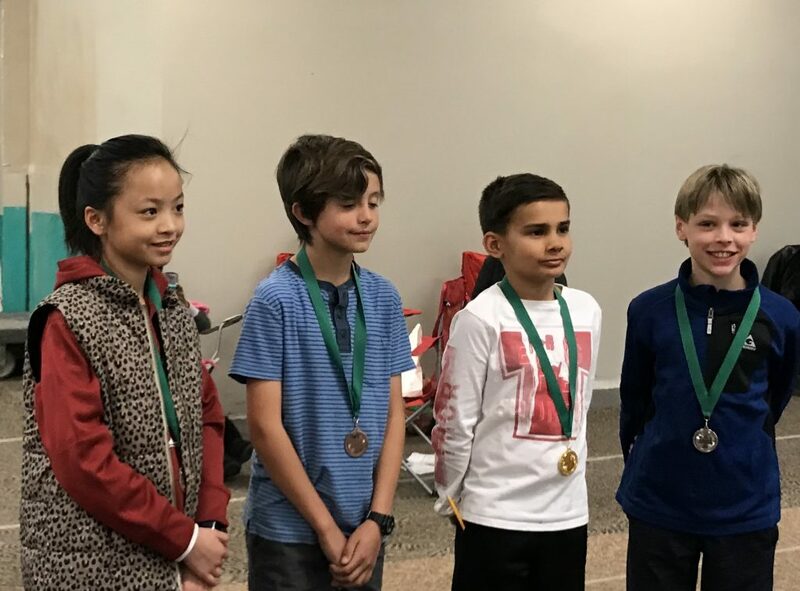 9 year old taking private lessons weekly with Mario for 10 months tied for 3rd place among fourth graders, 2018 New Mexico Scholastic Championships (she is pictured to the right). 9 year old taking lessons with Mario for 4 years is ranked 11th in U.S. for his age, 2017. A student who started lessons with Mario in 2014 will be at Northwestern University in 2019. 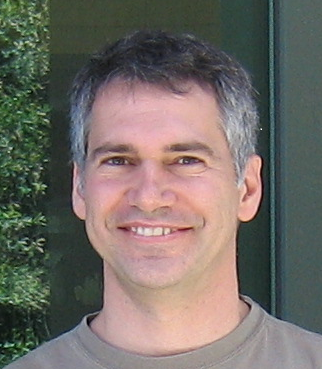 Very first one-on-one student (1999-2001) graduated Yale class of 2014. Chess develops self-esteem and tenacity. Other benefits include development of observational, evaluative, and planning skills. 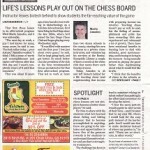 See also Benjamin Franklin’s “Moral’s of Chess” on the links page. “Hi Mario, I want to thank you so very much for the lessons and the training modules that provide the structure that has lead to my progression of understanding of how this game is played.” -Bruce Nov 2015, after climbing 329 rating point to 1771 by scoring 6-0 in a USCF rated tournament. MBA (UCLA). David is current and many time San Diego Chess Club President since 1982, former United States Chess Federation Board Member, former U.S. Navy Fighter Pilot, and parent. "...beating a Master couldn’t have happened to a nicer guy. Congratulations, Mario! We salute you for your excellent play and even more importantly, your friendly style and easy going nature." 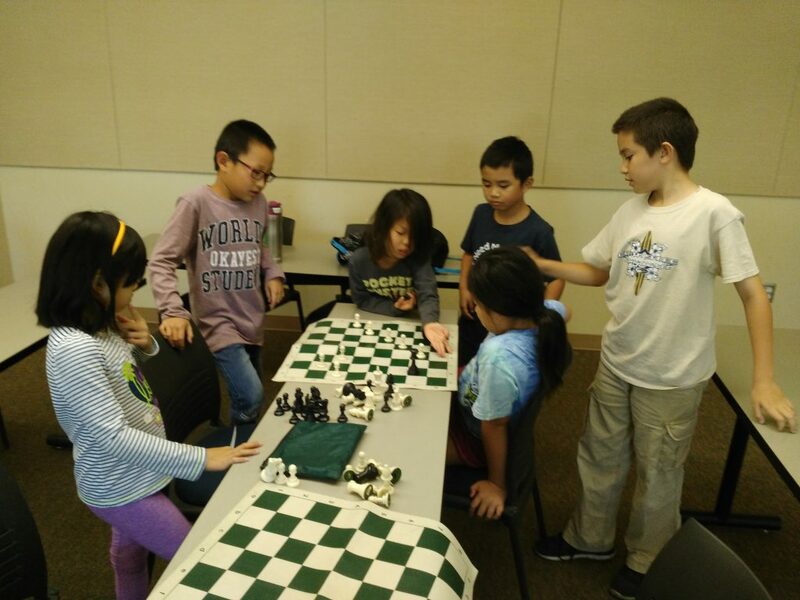 Six year olds and up learning from each other!